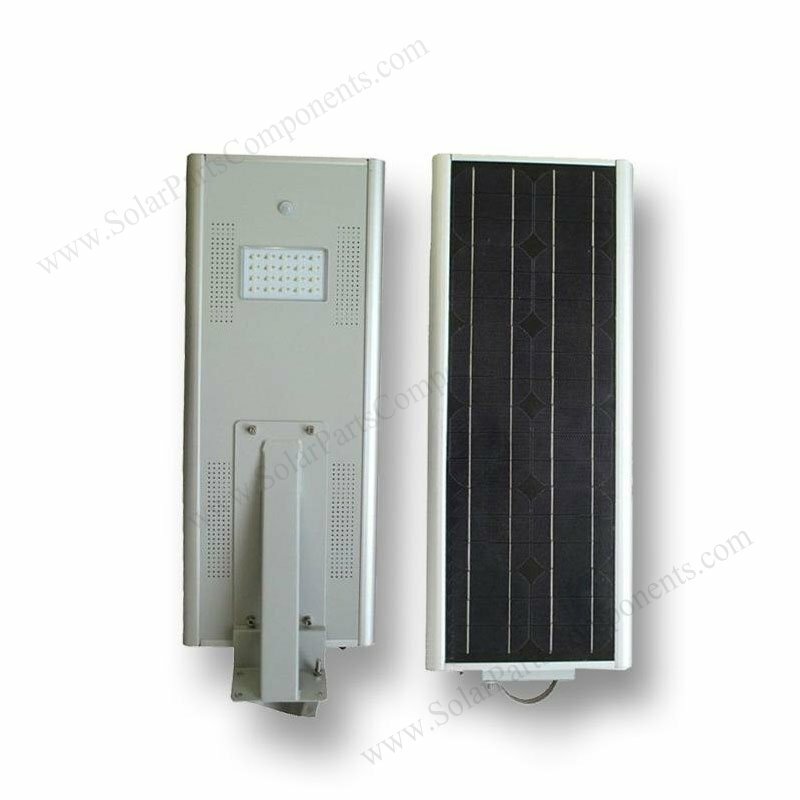 This All In One Solar Street Light is only 15 watts in power consumption which it extremely energy star . It can absorb sun lights by the integrated PV solar panel module , auto lighting up at nightfall . Just fixed with four SUS304 stainless steel screws, switch on button on the edge . 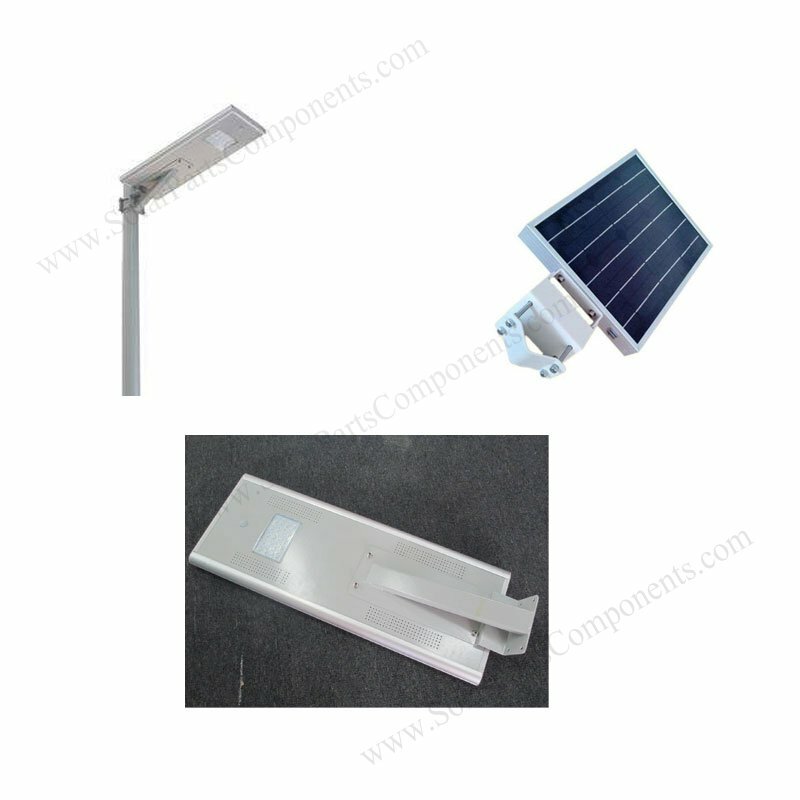 15 W integrated solar street lights can be install on lighting pole quickly . No need addtional wires . 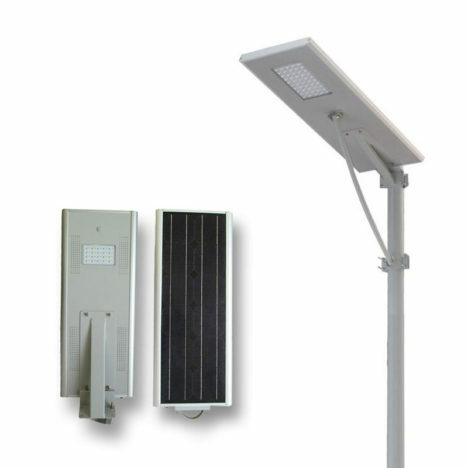 With sensitive mirco controller and infrared sensor , all in on 15 wasst solar street lighting fixture can be lightened when sun sets and power off at dawn . It can be set up flexibly at 100 % , 50 % , 30% brightness with controller inside when any creatures approach or with hours go on . 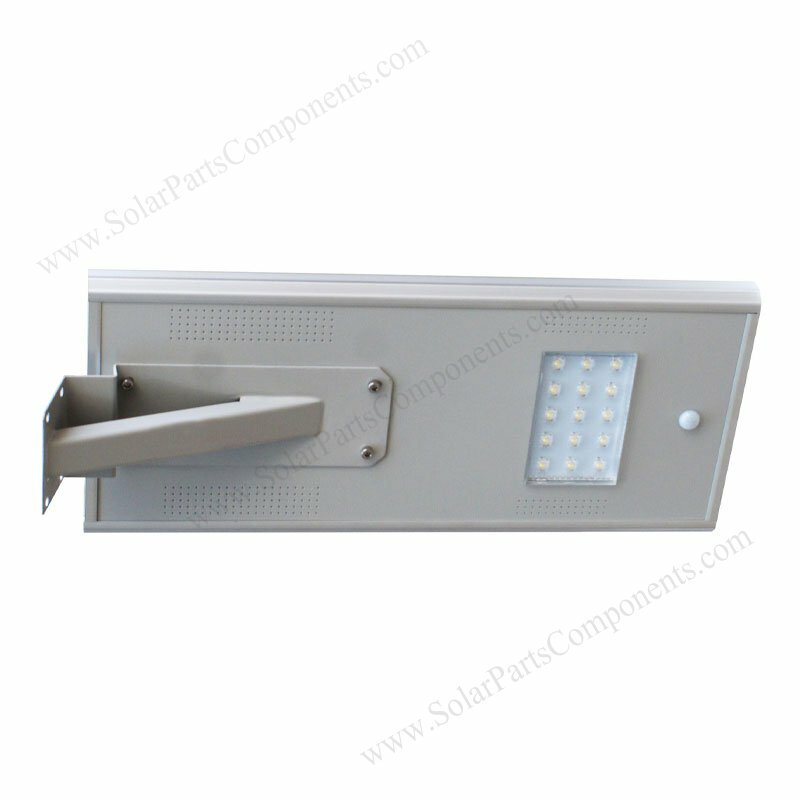 This all-in-one PV street lighting is weather proof, it reached IP 65 grade , suitable for outdoor application . Our Lithium-ion battery bank is long life span and good performance and stability . The reliable battery manage technology can protech power supply stable and prolong life for over 6 years . 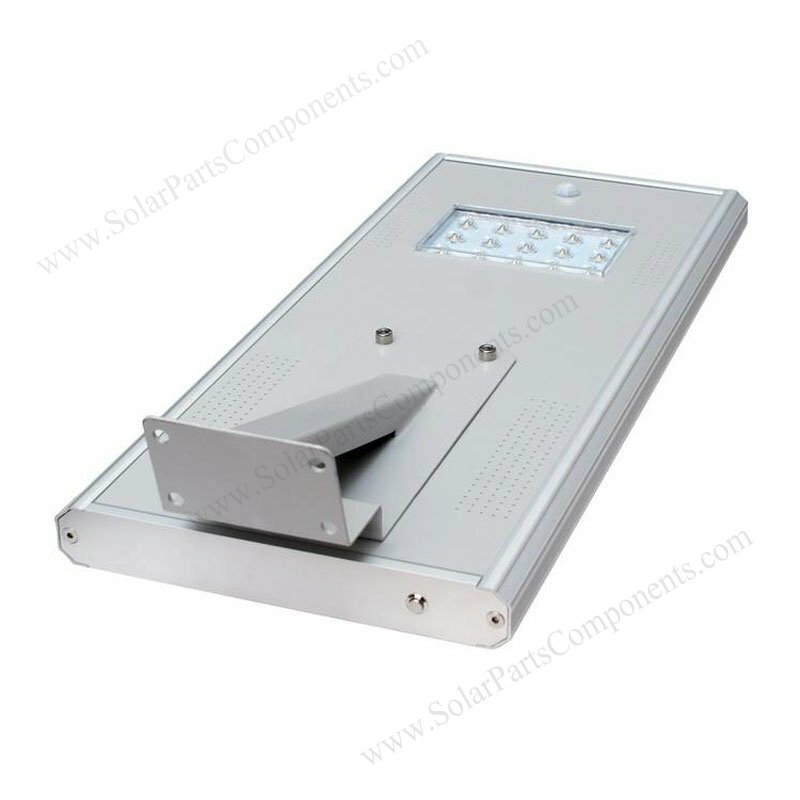 Our light source is BridgeLux, Model : 3030, 30 units . With excellent heat dissipaction and 130 lm per watts , the led bulbs can offer super bright lights with 30, 000 hours in life . With AL6005-T5 aluminium frame and Stainless Steel A2 components, this all in one solar PV street lights 15 watts is light in weight, anti-corrosive . Microwave motion detection can automatically control 100% bright to 30% dim mode as required , so that can last 3 days rainy days and increase battery life . 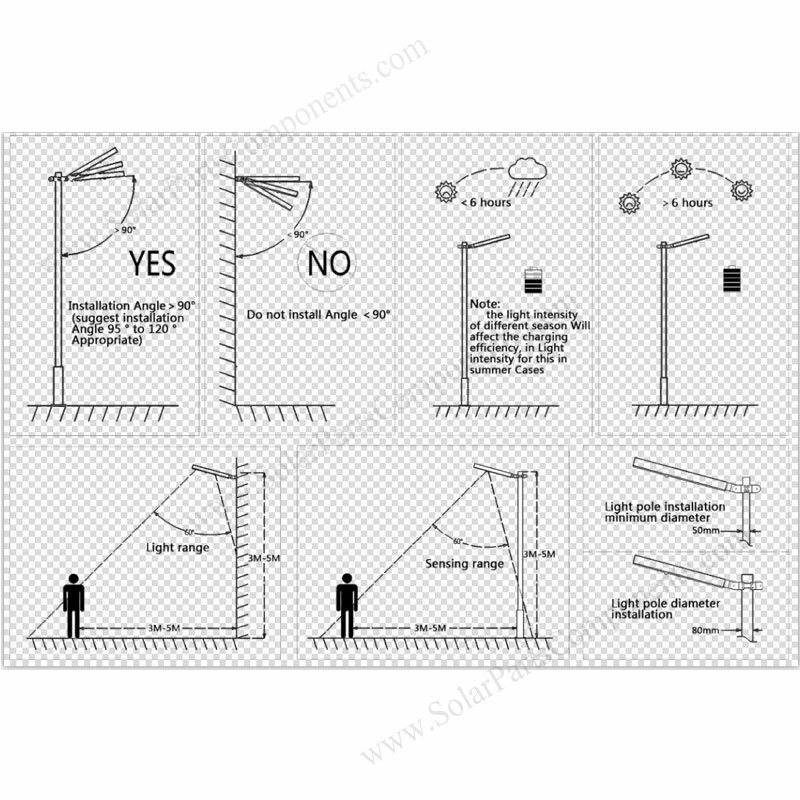 The light pole in not included, but we can sell them if needs . 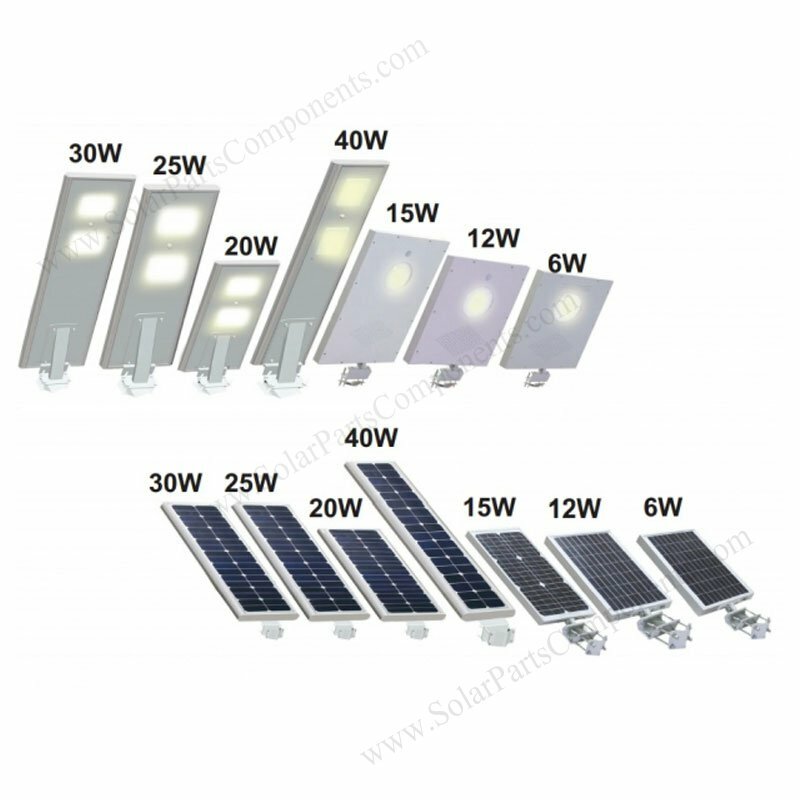 How to install This All In One , solar panel integrated , 15 Watts Solar Lights ?